My prior post offered four critiques of Humanism. Theorizing about these matters is one thing but live interaction with a true Humanist is another. 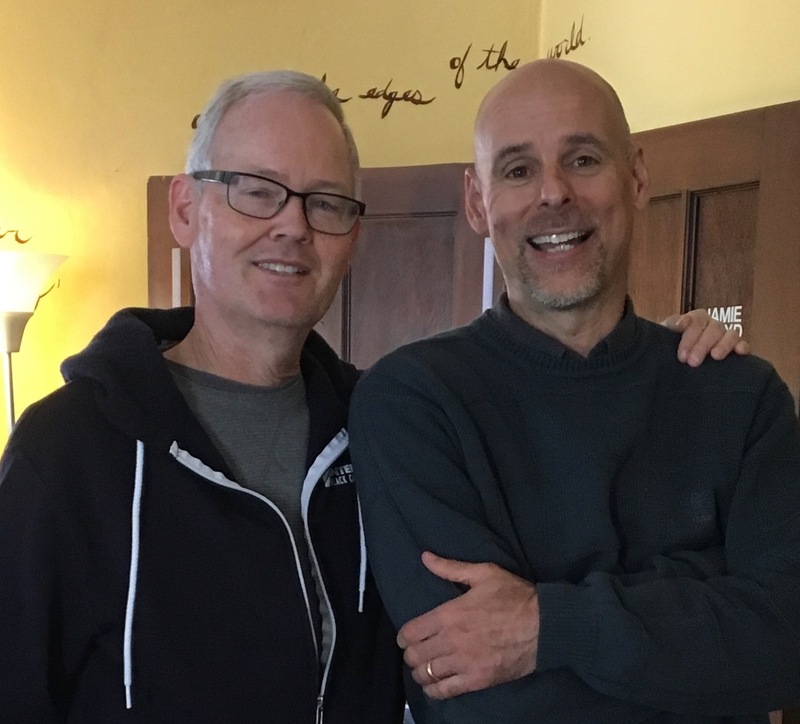 I met well-known Humanist Bart Campolo recently at the University of Cincinnati, where he serves as the Humanist Chaplain. Bart was an evangelical preacher for three decades in the style of his father, Tony. But Bart had doubts for many years that blossomed fully into unbelief, especially when he connected with Humanist Chaplain Greg Epstein at Harvard. Before our face-to-face meeting, I read the book Bart and his father Tony co-authored, Why I Left, Why I Stayed, which tells how Bart’s faith suffered “the death of a thousand cuts” and “ten thousand unanswered prayers” over the course of his career. Tony openly grieves the atheism of his son. Yet, the two love and respect each other even in their now Christian-nonChristian relationship. At the University of Cincinnati “Edge House” ministry center, I sat with Bart and a few onlookers for a noon-hour dialogue. He was cordial toward me, and repeated his insistence from his book that he was not out to deconvert Christians or Muslims or anyone else. We talked of common concerns such as providing community for Christian students (me) and secular students (him). There were many parallels in our respective ministries – from social justice to morality to upholding the dignity of each person we encounter. Deep into the conversation Bart brought up the topic of marriage between a believer and unbeliever, especially if one spouse had abandoned the faith, and asked me how I tend to counsel such couples. I said the believing spouse should remain faithful and loving toward their now-apostate partner, speaking up for the faith when appropriate but mainly leaving the question of eternal destination in God’s hands. Bart pressed me on this response, pointing out that now the believing spouse is saying to his/her partner, implicitly if not verbally, “You are worthy of hell. That’s where your life without God is headed.” And how could a marriage maintain its integrity when such an insult is in play? In my next post I’ll tell you how I responded.